An in-depth look at who funded city council and school board candidates in Portland, Maine in 2018. This is the second in a six-part series. 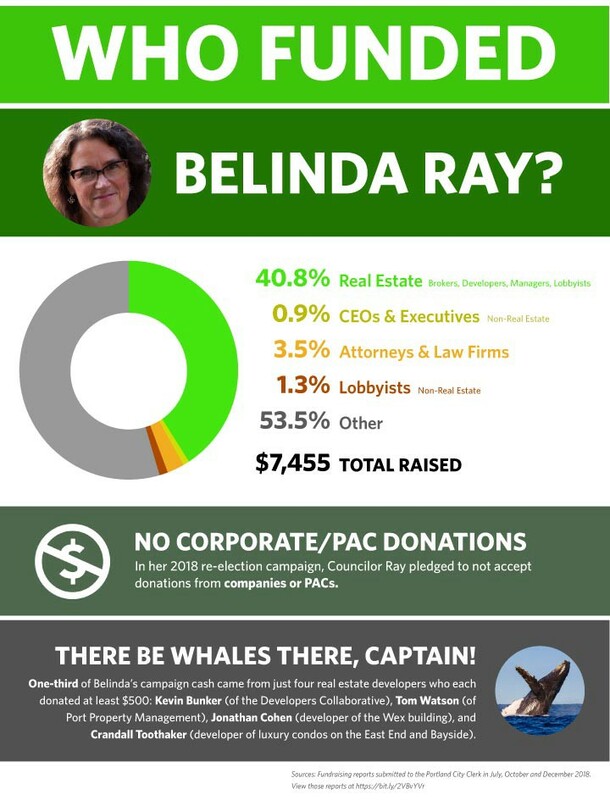 Today we’re looking at city councilor and mayoral candidate Belinda Ray. We will also be looking at Nick Mavodones, Spencer Thibodeau, Jon Torsch, Emily Figdor, and Jeanne Swanton in this series. Victoria Morales is the Executive Director of the Quality Housing Coalition, a 501c3 non-profit and private housing industry advocacy organization funded by Tom Watson (owner of Port Property Management) and Brit Vitalius (owner of Vitalius Reality and head of the Southern Maine Landlords Association). A candidate for City Council in Portland, Maine. A democratic socialist activist in Portland, Maine.